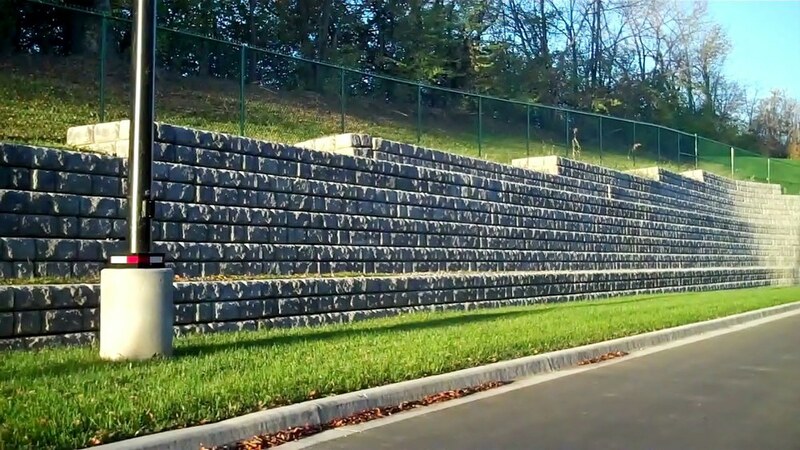 Large Block retaining walls are preferred when property restrictions or utility conflicts do not allow sufficient space for other soil reinforced retaining wall systems. 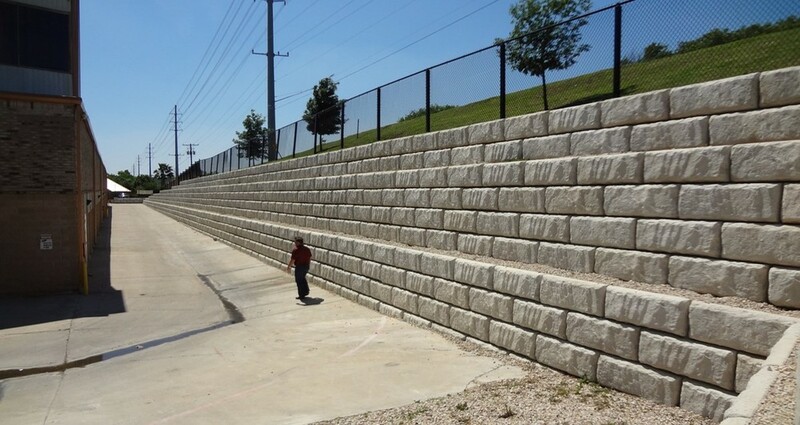 These retaining walls may be constructed with large precast concrete units or cast-in-place concrete and can be provided with an architectural facing. These walls may also be constructed free standing. This versatility makes them ideal for commercial, residential and industrial applications. 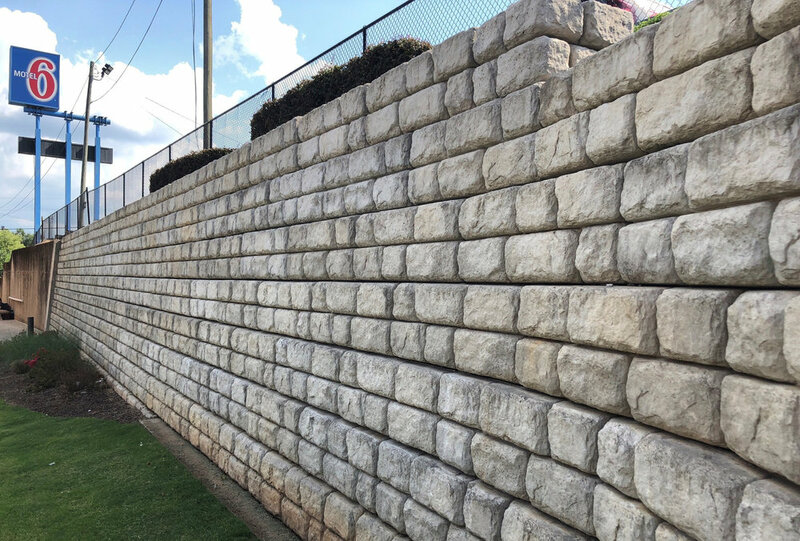 However, this type of wall has design height limitations of 10ft, over that height the large block retaining wall systems are usually not cost-effective.